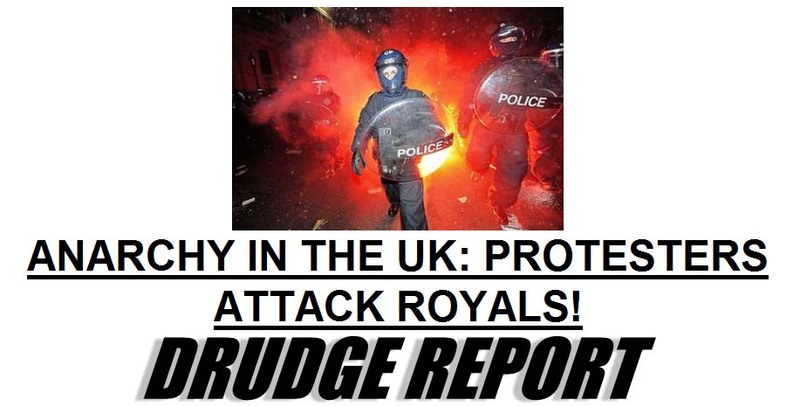 Britain on the path to tyranny? The title of my book and the blog is The Path to Tyranny. 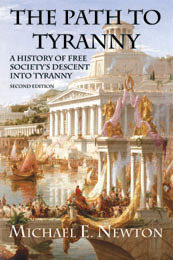 The book describes how the demand for free gifts from the government leads to tyranny. But this road does not always lead straight to tyranny. It often falls into anarchy first. So how exactly does anarchy lead to tyranny? First, I’ll share a couple of quotes from some people much smarter than me. The moment the idea is admitted into society that property is not as sacred as the laws of God, and that there is not a force of law and public justice to protect it, anarchy and tyranny commence. And so the probable outcome of too much freedom is only too much slavery in the individual and the state… from the height of liberty, I take it, the fiercest extreme of servitude. 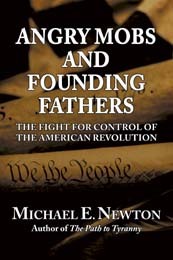 For in a free state in which sovereignty has just been usurped, whatever can establish the unlimited authority of one man is called good order, and whatever can maintain the honest liberty of the subjects is called commotion, dissension, or bad government. This is the real reason so many today advocate anarchy and anti-globalization. They do not really want anarchy. Instead, they want to establish a situation which would call for immediate order, to be established by the government and “intellectual elites.” First stage is anarchy, second is totalitarianism. These “anarchists” hope they can direct events towards socialism, as they successfully did in Russia in the 1910s and attempted to do in Italy and Germany, though other collectivist regimes beat out the socialists and communists, though both the Fascists and Nazis adopted socialist platforms to win favor among the people. The ultimate result of the anarchy spreading through Europe is not yet known. History shows that this often, but not always, leads to tyranny. The situation reminds me of Germany in the 1920s, except that all of Europe and the United States is in a similar situation to the Weimar Republic with huge deficits and debts that cannot be paid off. That led to the tyranny of the Nazis. Will we be able to avoid the mistakes of the past? Benjamin Franklin: They who can give up essential liberty to obtain a little temporary safety, deserve neither liberty nor safety. In a previous post, I wrote “It is time for civil disobedience by the states.” The post was directly addressing Arizona’s immigration law. Maybe there are individuals brave enough and crazy enough to test the DOJ’s new stance on not prosecuting those who passively ignore federal law, but the DOJ spokesperson actually said “state or locality,” not individuals, so the DOJ could still go after individual violators. So I again call on the states to disobey the federal government. We can start with the many unfunded mandates the federal government imposes on the states, most especially the new ones that will appear as part of the recently passed health care reform. If you are a governor who believes in liberty and the Constitution, please announce that your state will become a “sanctuary state” from socialized health care and will not enforce the new health care laws within your state. As we learned with the Civil War, states cannot simply secede from the union or nullify federal law. However, they can take a page from Henry David Thoreau and Mohandas Gandhi by simply refusing to enforce federal law. The federal government itself is selective in which federal laws it enforces. For years, the feds have ignored their own immigration laws. Now, some states, most notably my home state of Arizona, are trying to enforce those laws and the Obama administration is trying to stop them. If non-enforcement is legal and laudatory, the states should do so as well. Many states have already said they will not enforce the new health care reform bill. California has legalized many forms of drugs that are banned by the federal government. Technically, federal law still applies, but the states choose not to enforce them. Thus, if the federal government puts out a warrant for an individual who failed to comply with the health care law, the state law enforcement agencies could choose to ignore the warrant. Of course, this situation is far from ideal. It would create chaos and uncertainty, but that is far preferable to the certainty of centralized control and tyranny. On an individual basis, we are already seeing this civil disobedience. Millions buy goods over the Internet without paying sales tax. Legally, if the Internet retailer does not charge it, it is still the individual’s responsibility to pay it to the state. But nobody does and many buy online to avoid the sales tax and, thus, save money. Along the same line of “going Galt,” our high rates of taxation have also given a huge boost to “do it yourself.” See this post! In a democratic system, the majority can always vote to take from the minority to give to the majority. The United States has left its republican roots (small government, rule of law, indirect elections) and become more democratic (direct election of Senators, ballot propositions, poll watching). Now that we are a democracy, the liberal/socialist/union/bureaucratic wing finds ways to create a majority of “takers” to elect them into office. Voting them out, permanently, has become impossible. We can overthrow them for an election cycle, maybe even a generation, but the left-wingers always reappear in some new disguise. It is time to take more permanent action. Conservative states have to lead this effort. They have to oppose federal law through the courts and through non-enforcement. Individuals can go Galt and avoid paying taxes, but risk being sent to jail or having liens put on their property. States though have little to risk by opposing the federal government. A state cannot be put in jail. Fund can be denied it, but that is unlikely and is likely to further calls for secession. I look to the states to lead us back to republicanism and federalism. And I look to the individual to vote for and defend the Constitution from the always growing federal government, from the many complicit state governments, and from the large population of people who vote themselves benefits at the expense of others.